It's true what they say: "Knowledge is Power." And when you'rere faced with the challenges of dressing your team for success, a little knowledge can go a long way Â�from knowing what's popular and why... to what terms mean when you see them on a label or in a catalog... even to fun tidbits of information people find interesting. All this can simplify your decision making, streamline your process, and show your team you've done your research. And that will build their confidence in you, boost pride in their work, and virtually guarantee a more productive, powerful performance in the office and on the field. Boardroom Casual- Apparel that's different than the traditional business suit, but still appropriate for the boardroom. Blazers, oxfords, vests, ties and scarves are the operative words here. Business Casual- Professional dressing that's perfectly suited to attend a meeting, conduct a seminar or to meet a client. Banded collar shirts, oxfords, denims, vests, sweaters and turtlenecks are your main menu here. Relaxed Casual- Office-appropriate attire that's professional enough to face customers, but comfortable enough to sit in front of the computer. Golf shirts reign supreme in this area, as well as denims, chambray shirts, fashion fleece, sweaters and turtlenecks. Dress Down Casual- Casual apparel for a labor-intensive day such as cleaning out files or organizing your area. Tees, sweats and denim are your directions on this one. Wow your clients by sharing your knowledge on these "I didn't know THAT!" Wearables University apparel facts. The more you impress them with your knowledge ... the more they will have confidence in YOU as their wearables EXPERT! Why do women's shirts button on the opposite side than a men's? 60%, making Ladies' style shirts increasingly popular for all types of corporate casual decision makers.. It is NOT pre-washing the fabric. It is a process where the bolted, uncut fabric is run through rollers containing tiny nubs that press the fabric over the nubs, creating grooves which condense it. This puckered shrinking effect then allows for real shrinking when washed. Therefore, the fabric - not the shirt - is pre-shrunk before it is even cut and sewn. Copies of this shirt, a no-collar knit with buttoned placket, were worn by rowers in Henley, England. It was originally a rower's shirt. What is a "half moon sweat patch" and what's it really for? From the Hindu word meaning "dusty," which applied to the light brown cotton of the Indian army uniforms. Troops in 1850's India found their white uniforms would be dusty within hours and began soaking them in mud to turn the same practical khaki color. Following the tips below can help assure the artwork you provide will achieve the dynamic results you want when your logo is screenprinted or embroidered on your wearables. It can also help increase the efficiency and quality of the decorating process. Art that is "ready" for use is provided in an electronic file that can be used for pre-press and printing without making modifications. Below are a number of important considerations and tips to help get your art ready for decorating. Art may be provided in any of the following formats. Please note the modifications that may need to be made it order to make each format ready for decorating. For all three formats, proper resolution is critical for clean results. The standard resolution for printed artwork is 300 dpi (dots per inch). The traditional standard for acceptable mechanical artwork is "camera-ready black and white." Mechanical artwork can be supplied on a sheet of white paper or bromide, and should be no larger than 8.5" x 11". A logo that's been drawn by hand is a great starting point, but it will need to be digitized and modified for practical use. Images created in Adobe Illustrator, QuarkXPress, Adobe Acrobat Reader, Microsoft Word, Excel, or Powerpoint are preferred over mechanical and hand-drawn artwork for quality of the end result and efficiency. However, digital artwork may still require modification and/or preparation for the decorating process. Any time you supply digital artwork, be sure to include a printed proof for reference. When providing your artwork on disk, it is best to use one of these more standard disk formats: CD-Rom, or regular floppy. Consider these lesser-used, but highly-noticeable garment locations for a unique logo/artwork placement. 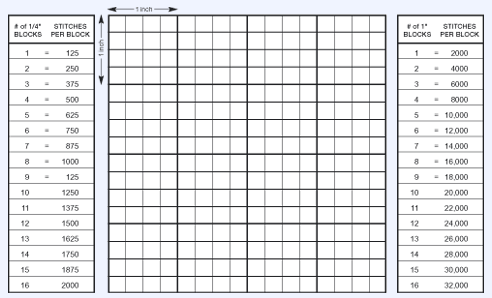 Click here for a downloadable pdf of the grid. It's always beneficial to print more items than less because of the set-up charges involved. If in doubt about the final quantity of screenprinted items you'll need, it's often more economical to order more than you think will be required. Buying for Men: Any style listed as Adult are sized for men. Adult Golf-cut styles generally offer a better fit for beefier male builds. Buying for Ladies: Styles listed as Ladies' are women's sizes. If the women on your team prefer a Men's or Adult style, select one size smaller than what they would wear in Ladies' sizes.